Our estate vineyards are home to the original plantings of Cabernet Sauvignon in Alexander Valley. With low-yield viticulture and sustainable farming practices, our Alexander Valley Cabernet Sauvignons are known for their bold flavors and richness. Robert Young was the first to plant this varietal in Alexander Valley in 1963. Today, we source all of our estate-grown, Alexander Valley Cabernet Sauvignon from our blocks situated in the hillsides that lie between 500-600 feet elevation above the Alexander Valley floor. We farm our vineyards using low-yield, sustainable methods and hand-pick 100% of the fruit during harvest. Our Cabernet Sauvignons are known for their power and structure with intense flavors allowing for the wines to be aged up to 24-26 months in French oak barrels. 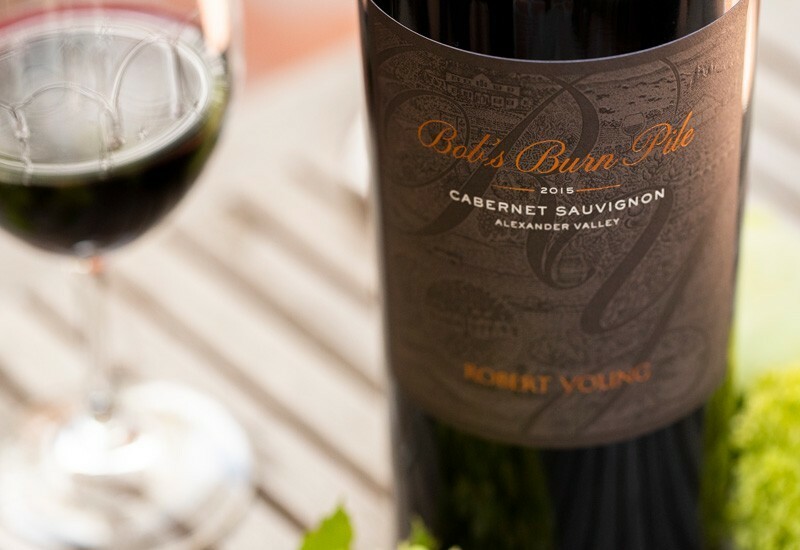 Bob’s Burn Pile is a wine made in honor of our founder ~ Robert Young. Bob, as everyone called him, would on frequent occassion amass various vineyard waste on the eastern most section of the estate, farthest away from the homestead. When enough material was accumulated, he would do all day “burns”, tending over the fire making sure it was safe, controlled burn. He loved the tranquility of watching the burn and enjoying a good glass of wine with an occassional friend that would stop by. The wine is from several Caberent Sauvignon blocks and incluing The Burn Pile, Big Rock and Scion Blocksand is made in limited quantities with the goal of being our top Cabernet Sauvignon released from the winery. It is made with 100% new French Oak and is aged for upwards of 24 months in barrel. Big Rock Block is named after the extensive large boulder field that occupied the site before it was made into a vineyard in 1985. The site is on the farthest edge of the remants of the most volcanic explosion from Mount Helena to the east. When putting in the vineyard, some rocks or boulders were over ten feet in diameter weighing several tons each. It was a laborous task to clear the vineyard, but the result is a beautifully well drained hillside site. One of our best vineyards and the reason we named a wine after it. 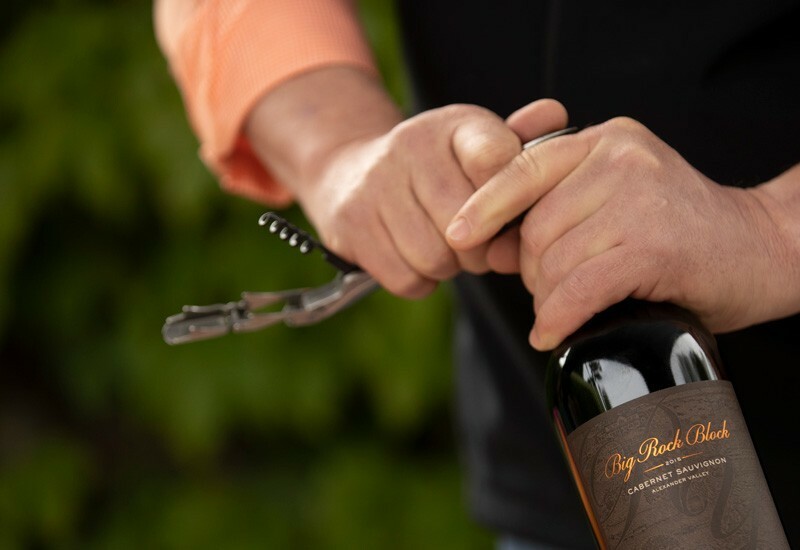 The Big Rock Block Cabernet Sauvignon is one of our biggest Cabernet Sauvignon’s and aged 20-24 months in French Oak barrels (40% new or more). The goal is to make a dense, but drinkable Cabenert Sauvignon, one with excellent structure, sift tannins and rich, ripe dark berry flavors.